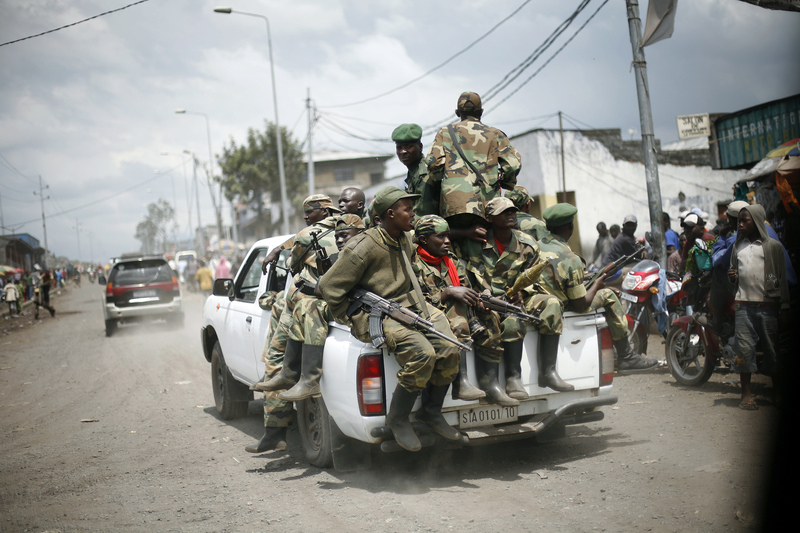 Policy Alert: Reintegrating Warlords into Congo’s Army? After months of deliberations in Kampala, Uganda, the government of the Democratic Republic of the Congo and the M23 rebel group are moving closer toward a deal that would provide amnesty and reintegration for all rebels, no matter the abuses they committed. Under the command of Sultani Makenga, the M23 is implicated by the United Nations in committing serious human-rights violations, including killing, maiming, sexual violence, abduction, and forced displacement. While Kinshasa has offered M23 commanders amnesty and reintegration into the national army only on a case-by-case basis, the rebel group—which still has forces on the ground that have threatened to recapture the North Kivu capital city of Goma—is pushing for full amnesty and reintegration for all its members. Reintegrating senior-level rebel leaders into Congo’s army that have orchestrated the mass recruitment of child soldiers and massacres would do little to break the cycle of impunity that feeds Congo’s astronomical levels of violence. Rank-and-file troops should be reintegrated, but unless the worst perpetrators of human-rights violations are brought to justice, there will be no lasting peace in eastern Congo. Furthermore, if there are no major initiatives to demobilize large numbers of rank-and-file combatants and to reform the Congolese army, the professionalism of that army will continue to deteriorate, continuing to result in serious repercussions for the civilian population. Equally worrisome is that any haphazard deal with the M23 will undermine the “Peace, Security and Cooperation Framework for the Democratic Republic of the Congo and the Region” signed on February 24, 2013, by U.N. Secretary-General Ban Ki-moon and 11 African presidents. There is a real risk that President Kabila will try to bring the Kampala talks to a hasty end in order to find a quick fix outside the parameters of the framework which urges him to undertake much-needed reforms at home related to the security sector, the decentralization of the government, and democratization. The U.S. government and other international actors should encourage the governments of Congo, Uganda, and Rwanda to avoid repeating mistakes of the past. Previous peace agreements for eastern Congo have reintegrated wanted war criminals but have failed to resolve the conflict. The 2009 peace accords, for example, made former rebelBosco Ntaganda a general in the Congolese army, yet Ntaganda was indicted by the International Criminal Court, or ICC, for war crimes and subsequently helped create the M23 rebellion. To prevent such outcomes, the Kampala peace talks should be subsumed by a broadened peace process led by U.N. Special Envoy Mary Robinson that addresses the root causes of the war. In particular, it will be critical to get Congo, Rwanda, and Uganda to start negotiations on economic, security, and political issues that have fueled Congo’s war. Special Envoy Robinson should also lend her support to the envisioned Congolese National Dialogue and Congolese reform process, ensuring that they are mediated by an impartial facilitator and include civil society. If the process is not neutral and inclusive, the reforms will fail. The International Criminal Court should urgently expand investigations and regional governments, and the international community should assist the ICC in prosecuting those most responsible for war crimes and crimes against humanity in eastern Congo.